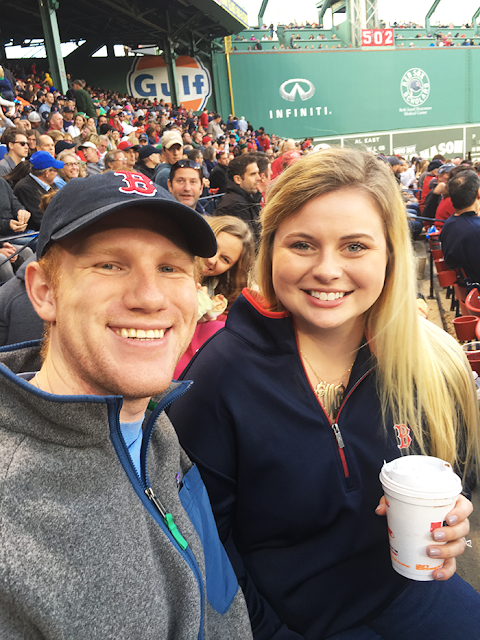 This past Saturday, Kyle and I got the opportunity to go to Fenway to see the Red Sox play the Orioles. 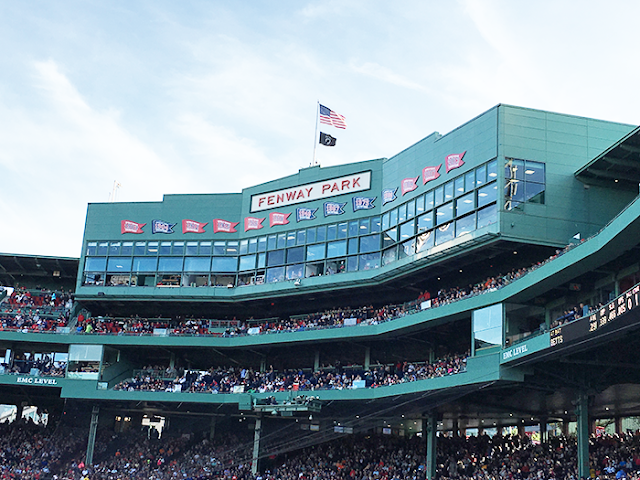 Going to the stadium was something Kyle had always wanted to do, and it was on my Boston bucket list, so we each got to cross something off our lists! It had been a while since I had been to a professional baseball game, and the last stadium I had been in was Minute Maid in Houston, which has an enclosed field where they can open the roof or leave it closed when the weather isn't ideal. 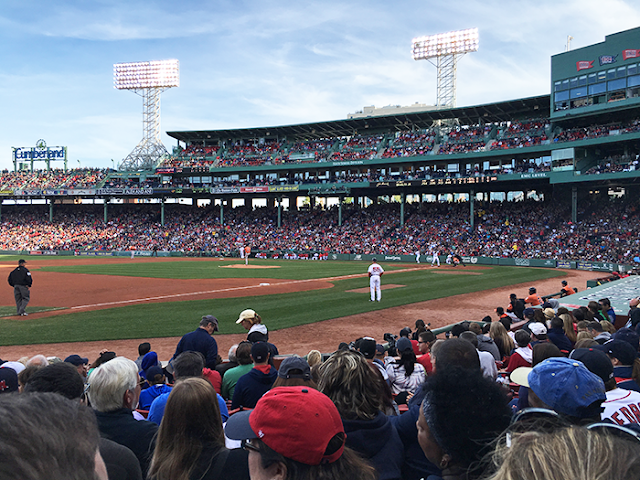 For those of you who haven't been, Fenway is a totally open park, and I have to say there was something magical about sitting in the stadium and watching America's pastime. If you're in Boston, and have any interest in baseball or the history of the city, I highly recommend coming to a game, or touring the stadium if you have the time! 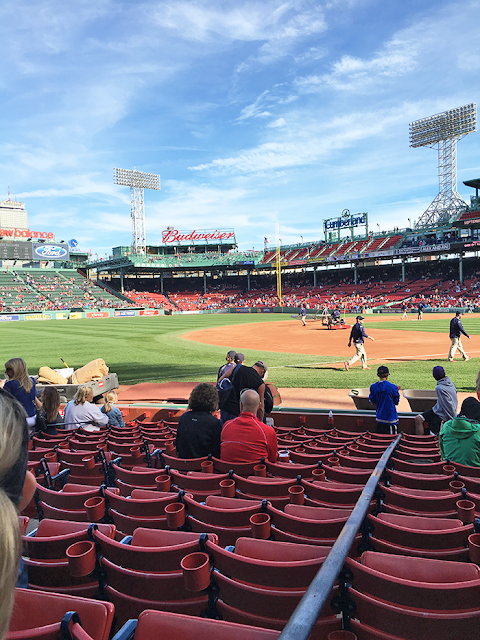 I know I've been wishing for fall weather, and it's been absolutely beautiful during the day, but one thing I did learn while we were at the game is that I'm definitely not acclimated yet. I may or may not become a hermit this winter - still to be determined. I honestly laughed a little when we walked into the park and saw a Dunkin' Donuts store front, but as soon as the sun went down, I told Kyle I had to have something to keep me warm. 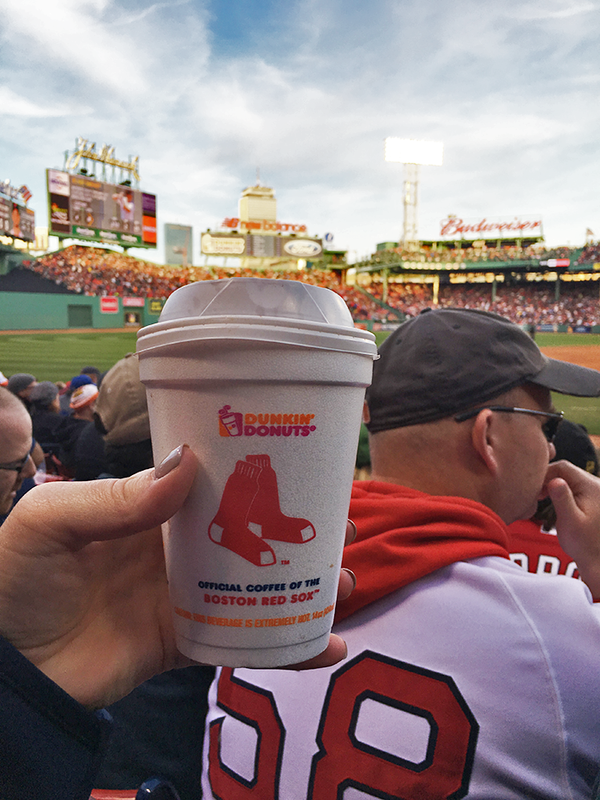 Cue the hot chocolate from Dunkin', which is totally delicious by the way. This week is going to be an eventful one as I'll be attending the Wayfair Heart Home Conference, and we signed up for Plated to help with my fall goal to cook more. Maybe I'll even get Kyle in the kitchen ;) I hope y'all had a good weekend and your Monday is off to a great start!